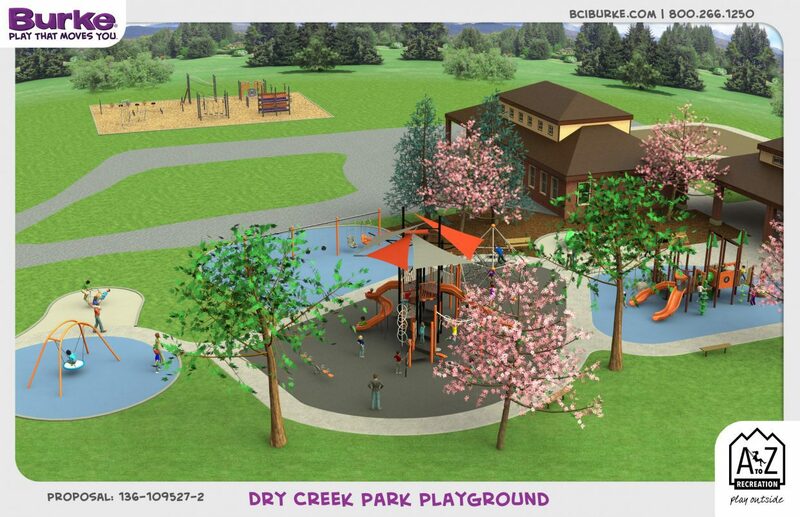 Artist rendering of Dry Creek Park. HAYDEN — Thanks to a $500,000 grant, the town of Hayden will finally be able to complete Dry Creek Park. The town recently found out it had been awarded the grant by the Colorado Health Foundation, which has the mission of improving the health of Coloradans. The money will be used to build a playground at the park as well as an outdoor fitness course. The playground will be hard surfaced, and there will be features for children of all ages. It will also be accessible to those with disabilities. The fitness course was inspired by Hayden graduate Mitch VeDepo, who has made appearances on the “American Ninja Warrior” television show, which features competitors going through a challenging obstacle course. The new additions will complement the other amenities at Dry Creek Park, which include a fishing pond, a one-mile trail, a disc golf course, baseball fields, a gazebo and a building with a commercial kitchen. There is also a new sand volleyball court at the neighboring Routt County Fairgrounds. Dry Creek Park is located on South Poplar Street across from Hayden Elementary School south of U.S. Highway 40. Redmond, who also volunteers on Hayden’s Parks and Recreation Board, said the project would not have been possible without the hard work of board members as well as the recreation coordinators. The improvements are scheduled to be completed by June.